Do you want to lose weight and feel more confident? Do you want to end emotional eating and stop feeling “out of control”? Are you ready to leverage the Law of Attraction? 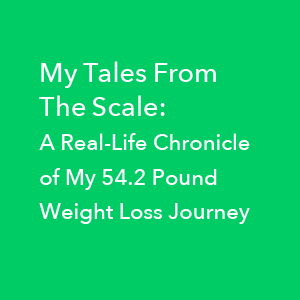 Until you know why you gained the weight in the first place, you won’t be able to keep it off for good.No amount of food restriction or weight loss efforts can be sustained permanently and peacefully without working through the internal mental and emotional patterns and barriers that caused emotional eating and weight gain in the first place. Do you recognize any of these examples of “mental speed bumps”? I just can’t seem to get started. If I can’t do it perfectly, I quit or don’t start at all. I deserve this___________ (insert favorite “comfort food” here). I don’t want to deprive myself. You can’t make me OR I don’t wanna. (aka, rebellion & resistance – even though it’s “good for you”). I’m not worthy. I’m damaged / broken / less than / a lost cause. There’s no use. Why bother? Nothing ever works for me. For emotional overeaters, we may temporarily manage to lose weight but… When those urges and cravings rear their ugly head and we can no longer muscle our way through a diet, the weight comes back – usually worse than when we started. Become confident and lose the weight for good. How is working with a Weight Loss Coach different than joining Weight Watchers or a similar program? Typically WW meetings last about 20 minutes and are in a group setting with people who are all at different stages of the process with different needs. Conversely, our sessions are 60 minutes long and devoted entirely to you. It’s just you, me, and your specific needs, questions, hurdles and dilemmas being addressed. In our calls, you’ll discover your own unique speed bumps and get personalized attention and focus on how to address them and keep going. What you learn can change your life. Some of the speed bumps we run into are personal in nature. Many women prefer the intimate nature of a 1:1 session. We work on the phone. I call the phone number that works best for you. No need to get dressed up or put on make-up. No commute. No traffic. Coaching via telephone allows you to get the help you need, efficiently in the privacy and comfort of your own home. We arrange the dates and times of the sessions (weekly or biweekly is recommended). I’ll call you at our pre-arranged time, and we’ll dive into your journey. I’ll ask questions, give guidance, and give assignments (always optional). You’ll ask any questions you have, and get clear on your next actionable steps. Do you have group classes? Do you teach in-person? 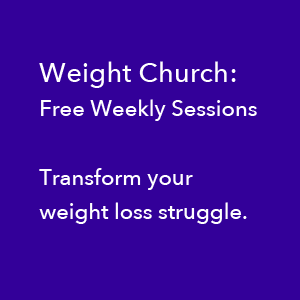 Occasionally, I teach classes focusing on weight loss, food intolerance, and the internal emotional and mental components of healthy, sustained weight loss. If you’d like to stay informed, please enter your email in my newsletter box to receive notifications. Schedule an Initial Consultation with me. Click this link where you’ll be guided to find a time that works with both of our calendars so that we can get on the phone together for 15 minutes. I will email you some questions before our call, and you’ll email me your answers. Then, during our phone appointment, I’ll answer any questions you have, ask a few of my own, and we’ll determine whether this is a good fit. If so, we’ll pick the best package for you and get started immediately.